Winchester House was constructed in 1857 as a school for the sons and orphans of missionaries. 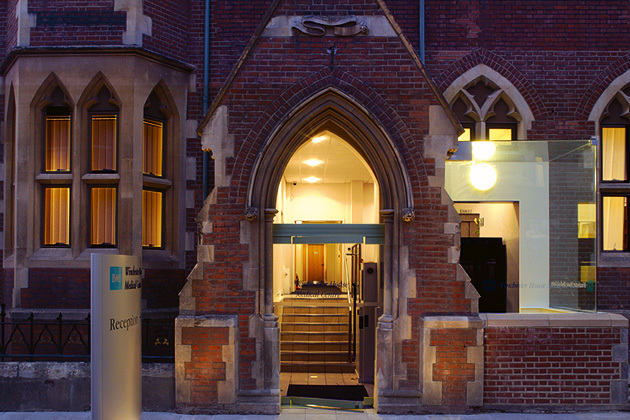 It was acquired by BMI Healthcare in 2001 to create a free-standing medical centre and annex to Blackheath Hospital. Prior to its acquisition it had been the headquarters of The Church Army. Tuke Manton was commissioned to undertake the internal conversion that would provide consulting rooms, health screening, physiotherapy, imaging facilities, medical offices and ancillary spaces. Winchester House is a substantial building in Gothic Revival style and it lies within the Blackheath Conservation Area. Consequently, the proposals had to be discussed and agreed with the Blackheath Society and Lewisham Conservation Office. The primary design principle externally was to interfere as little as possible with the existing fabric of the building, while providing enhanced access and improved means of escape to meet current standards. The provision of wheelchair access to the raised ground floor of the building was achieved by an internal wheelchair lift. This was housed within a contemporary glazed extension alongside the remodelled front entrance. Internally, the building was comprehensively altered to provide the spaces and facilities required. This included a new lift being inserted through the existing fabric. 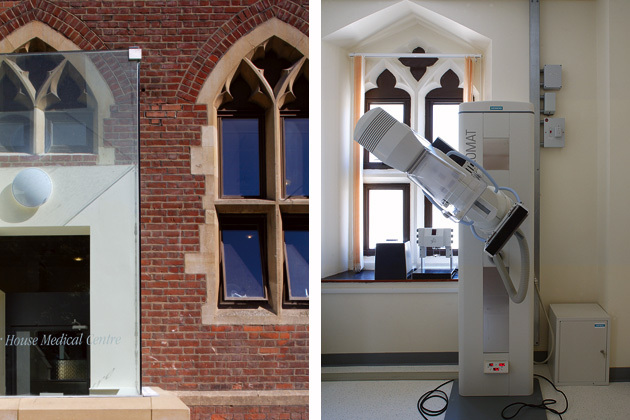 The end result is a crisp modern interior within the original ‘Gothic’ envelope, with high-tech medical equipment providing a sharp contrast to the original architecture.